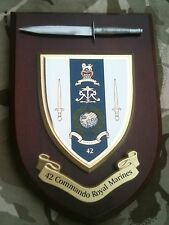 Beautifully hand-crafted wooden presentation box for Royal Marine Commando Dagger. Has cardboard protective sleev which has kept this box in great condition. Royal Marines. Marines; Anodised. Globe and Laurel, Lugs, Cotter Pin rear fixing. 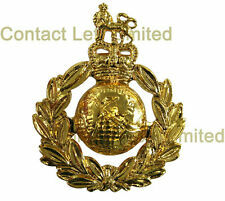 NEW OFFICIAL Royal Marines Anodised Cap Badge. THIS IS THE OFFICIAL CAP BADGE. Add to Favourites. Manufactured to the highest standard by MoD approved contractor. British Military Issue Sweat Rag (SAND) * Can also be used as a Face Mask / Neck Scarf Size Aprox: (105 Cm x 40 Cm) Condition: NEW Colours: Sand NSN: 8420999787002 If you have any questions please feel free to contact me. 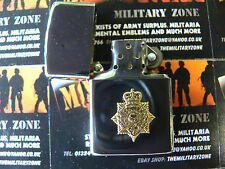 I ALSO HAVE A NUMBER OF OTHER MILITARY ITEMS FOR SALE, SO PLEASE HAVE A LOOK. Manufactured on Official Crye Multicam for use on MTP Clothing. OFFICIAL: Personalised Hook & Loop ZAP Badge with Union Jack and Blood Group. You will recieve a ZAP Badge with a Union Jack and your Blood Group that is hook & loop backed. British Army Issue Sweat Rag. Olive Green. Condition : NEW. Royal Marines PT Shirt Size XL. 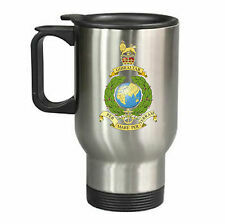 Condition is Used has CTCRM instructors logo.Dispatched with EBay Shutl as items tracked. British Army Issue Sweat Rag. Condition : NEW. NSN: 8420-99-978-7002. Royal Marines. Marines; Bronze. Globe and Laurel, Lugs, Cotter Pin rear fixing. NEW OFFICIAL Royal Marines Bronze Cap Badge. 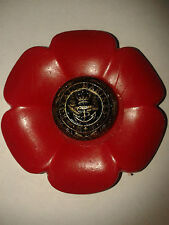 THIS IS THE OFFICIAL CAP BADGE. Manufactured to the highest standard by MoD approved. Desert DPM Tropical Jacket. 16 Air Assault Issue. Grade 1 condition. Size Height: 190CM. royal marine museum coin. Condition is Used. Dispatched with Royal Mail 2nd Class Large Letter. OFFICIAL Dousted Gear Morale Patch. We specialise in Belts, Slings and Webbing Systems. 100% of our products are manufactured in the UK. "THREADERS". Official Crye Multicam Material. IRR Official Crye Multicam Material. This is a nice original British Royal Marine beret and cap badge. This is the version worn by Royal Marines who are not commando trained. No size marked but about a size 52 since relatively small. This is the for the free loan of the Royal Marines funeral drape to all Brothers and families that need to make sure that they go straight to the appropriate unit above! We regularly donate to forces charities. 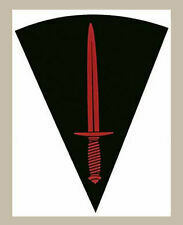 NEW 3 COMMANDO BRIGADE LARGE DAGGER STICKER. Similar Stickers are seen on Vehicles of the Elite units within 3 Commando Brigade. This will also stick to folders, Cabin Doors, Lockers and just about most other things. Fleet Protection Group Royal Marines Silicone Wristband in green with red and yellow writing. "Fleet Protection Group Royal Marines" and a dagger and patch. This is a stunning challenge coin featuring the Royal Marines globe and laurel on the front in the middle of a white circle. Around the white circle is a commando green band featuring the words in gold, HM ROYAL MARINES, SAVING THE NATION SINCE 1664. 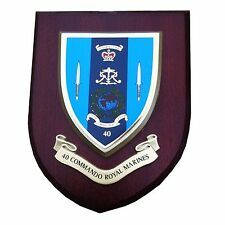 Royal marines commando patch. Condition is Used. Dispatched with Royal Mail 1st Class Large Letter. 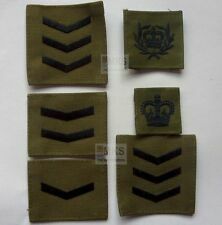 10 Commando patches. Desert DPM Tropical Jacket. Royal Air Force MP Issue. Grade 1 condition. Size Height: 160CM. Desert DPM Tropical Jacket. Royal Air Force MP Issue. Grade 1 condition. Size Height: 190CM. Desert DPM Smock. 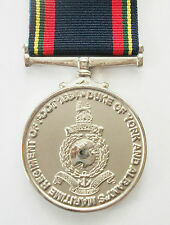 Royal Marine Issue. Grade 1 condition. Size Height: 170CM. Size Chest: 96CM. Royal Marines Cap, Beret & Band Service Headwear / collar badges. New. Sold for theater film and collectors actors. 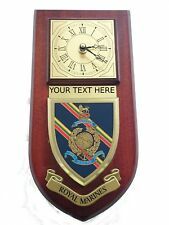 Royal Marines Wall Plaque. Picture Hook Fixing on Rear of Plaque. Specification Size Hand Made in UK For The MOD. 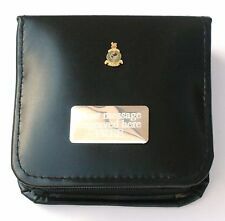 Royal Marines 6oz Stainless Steel Military Green Hip Flask Laser Engraved with Royal Marines Crest plus 2 Commando Daggers, complete with funnel in satin lined Green, Black or Dark Red Presentation box. 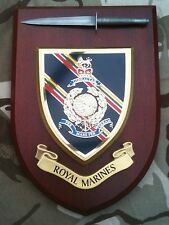 Royal Marines Poole Wall Plaque. Picture Hook Fixing on Rear of Plaque. Hand Made in UK For The MOD. Car & Scooter Badge Bar Badge. Classic Modern Car Grill Badge. Scooter Antennas Aeriels. Scooter Flyscreens. B3 Square Car Grill Badges. Plastic Scooter Accessory Part. Stainless Steel Brackets & Screws fit Classic AA Badge to Desmo type Badge Bar. A Basically New Condition Royal Marine Stable Belt Just may have a slightly tarnished adjuster bar from storage. A New Royal Marine Stable Belt.